Our Tampa, Florida, law office, led by proven lawyer Eric T. Taylor, has built a legal practice focused on areas that help the people of Tampa and St. Petersburg deal with tough legal challenges and life setbacks. Perhaps you were involved in a car accident or are fighting a land dispute. Perhaps a loved one was arrested for drug possession or DUI. No matter what your struggle may be, we are here to help. Our approach is to truly put the client first, helping with practical problems as well as strictly "legal" ones. From your free consultation forward, we want you to know that both your human needs and the outcome of your case matter to us. It's not all about the money with our legal team. When you have been injured in an accident, we want you to get the right medical care. If the government is taking your land, we will respect its sentimental as well as monetary value to you and your family. If you need criminal defense, we will empathize with the stress you feel and fight hard to help you get back on track. When we are able to take your personal injury, car accident, wrongful death or eminent domain case, you will take no financial risk. We earn attorney's fees in these areas by obtaining favorable personal injury settlements and compensation awards for our clients in return for a reasonable percentage of those gains. You pay us no attorney's fees or costs if we do not obtain compensation for you. 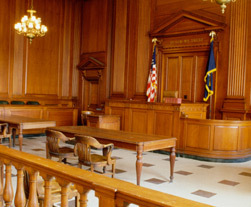 We also strive to provide affordable criminal defense representation. From our Tampa offices, we represent people along the Central Gulf Coast and statewide, in communities such as St. Petersburg, Clearwater, Brandon, Miami, West Palm Beach, Orlando and Sarasota. Contact us today to schedule a free initial consultation and find out how we can help.